All dogs shed. Some breeds shed very quickly, some shed a lot less and some appear to not shed at all. 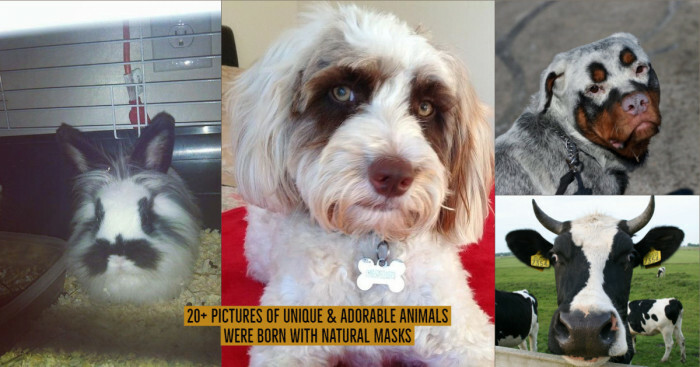 Know about the large dogs that don’t shed and adopt one that suits your lifestyle. Dogs are the best companions you can have. 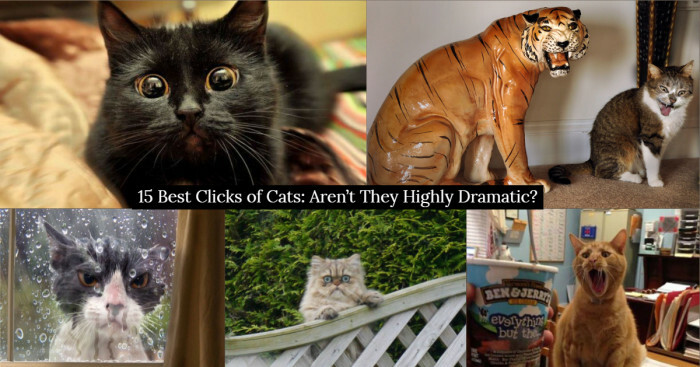 They are loyal, adorable, friendly and most importantly, they are excellent house lookers. There are hundreds of questions that come to mind when you plan to own a dog. Is the dog allergic to dust or cold water? How frequently would the dog need a vet visit? How often would the dog need grooming? And more. But the level of shedding is the most common question that pet owners ask the sellers when deciding upon which dog or dog breed to choose. If you are also thinking of buying a large dog that doesn’t shed and want to live in a fur-free house, then check out the list below. 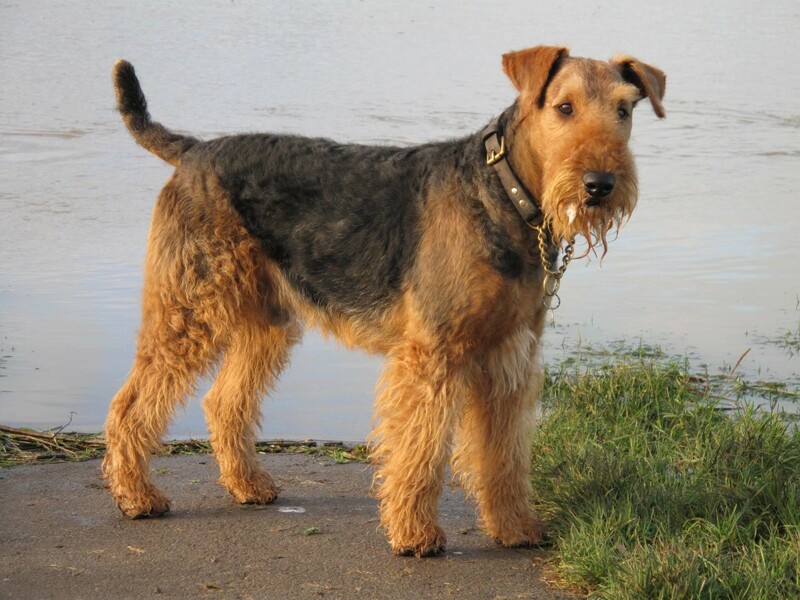 Basically used for police work, Airedale Terrier is a protective, friendly and high-spirited dog breed. This dog breed originated in the Aire Valley of Yorkshire. They are the largest of terrier breed who are as tall as 2 feet. They are very intelligent dogs with excellent energy at hunting. Though they have a hard exterior, they have a soft corner for the family. Komondors are calm and show immense love for their family. They enjoy daytime naps and need grooming sessions and a lot of work to maintain. They need brushing and bathing very often because just like mop, they catch dirt very quickly. 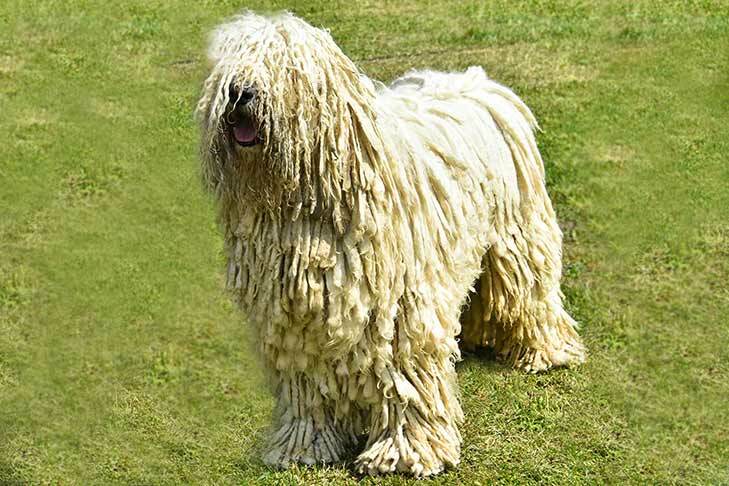 The temperament of Komondor is difficult for the owner and comes with different challenges and opportunities. 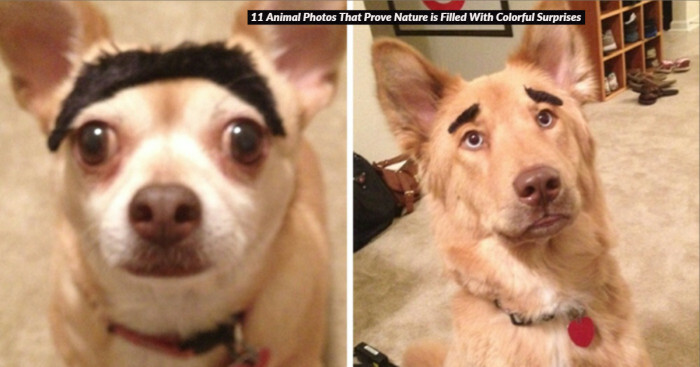 It looks adorable and is a wow-worthy breed of dog. It is more like a giant mop with a long tongue. It has been used as a police dog but its main job is to be the protector of the flock. 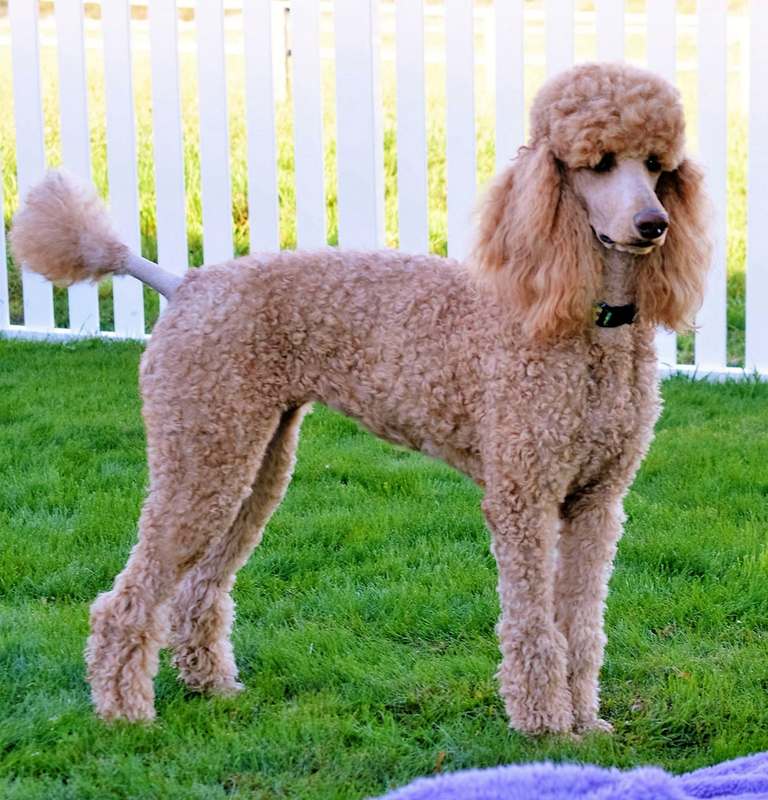 Hardy, clever and adorable these are some qualities of the standard poodle. They are obedient, quick learners and low-maintenance dogs. Standard Poodles are a combination of intelligence and energy but they become bored very easily. Along with daily brushing, the dogs are required to visit professional at least once in 4-5 weeks. Saluki is one of the oldest dog breeds that doesn’t shed. They are shy but smart enough to understand your commands and to ignore them. These active dogs need running and just need warm blankets to be comfortable. They are Olympic runners and can run at a speed of 40-45 miles per hour. They love to hang around for hours but still need intense daily exercise. 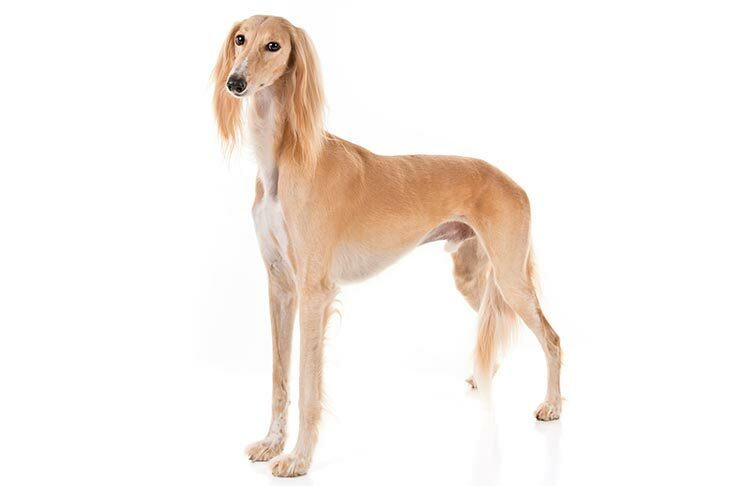 Saluki breed is a low-shedding dog and needs weekly brushing to maintain the look. 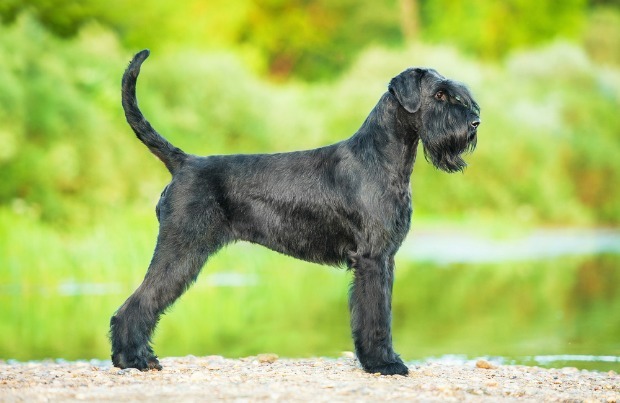 Giant Schnauzers are 70-80 pounds heavier than the standard Schnauzer. They are an excellent companion and need daily activities to keep them maintained. They have a big heart and love exploring things around. Earlier, some Giant Schnauzers were used in butcher shops and later, they were used in the police force. They accept new people and experiences. They have wiry coats which shed very often. 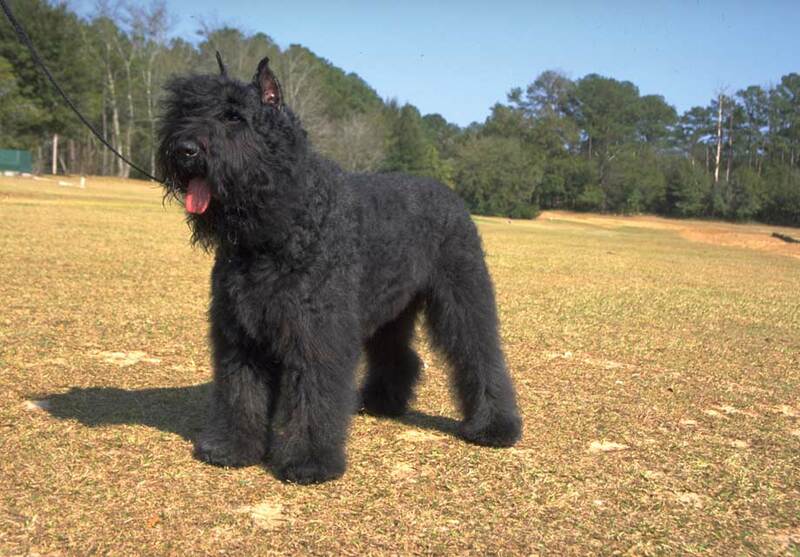 Bouvier Des Flandres is a fearless and powerful dog breed which may sometimes weigh upto 1000 pounds. Besides their tough attitude, they are affectionate creatures and feel great among children. The dog comes with a thick coat and requires a lot of grooming sessions. They were used as an army dog during WWII. During the late 1930’s, the dog was introduced to North America where it gained popularity as a watchdog. Bouvier needs minimum 30 minutes of walk every day. 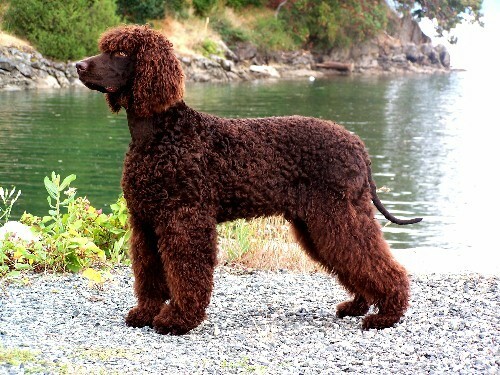 Irish Water Spaniel is a large dog breed and a determined personality that doesn’t shed very often. These floppy eared dogs are very protective of their property and enjoy playing with children. 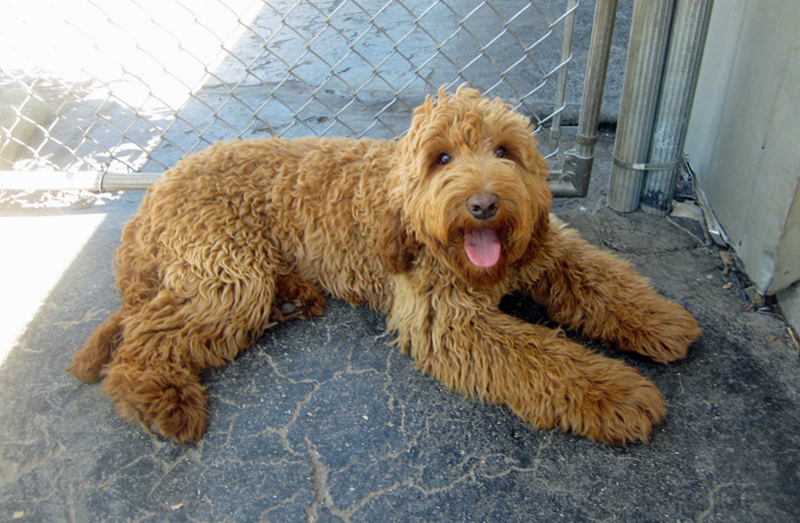 The peak of curly hair between the eyes is the identification of this large dog breed. It is a versatile dog which is used for water retrieving and hunting. What’s more amazing is that they are good swimmers and even have webbed feet to swim easily in water. 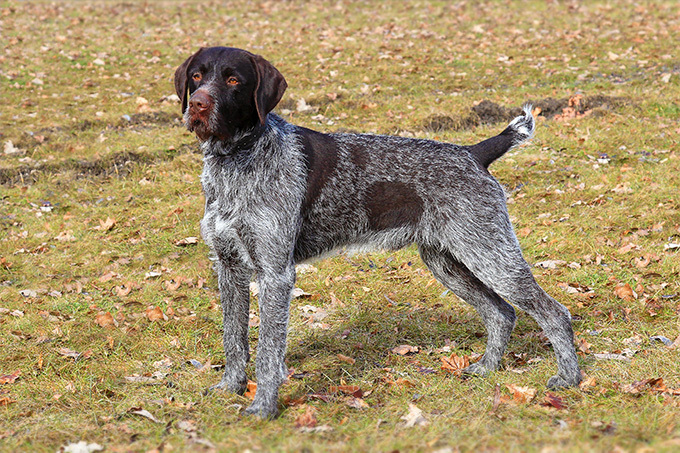 Wirehaired Pointing Griffon is a large dog that came into existence in 1885 in Europe. This dog is an excellent swimmer and water retriever. The wirehaired dogs are easy to train and are the best companion for a family with lots of running rooms. His excellent nose and stamina are majorly appreciated by hunters worldwide. They require little grooming and frequently bathe to maintain their appearance. 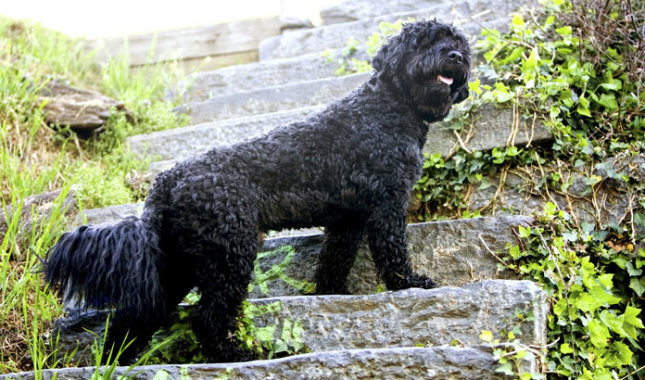 Originally bred in Portugal, these Portuguese water dogs are born for water. They are trained to retrieve lost gear and can even swim from boat to boat to send messages. They are clever and love spending time with children. These large dog breeds shed very less as compared to other dog breeds but need brushing and trimming very often. They are quite energetic and need daily activities to remain active otherwise they get bored and become destructive. If you need a large dog that doesn’t shed in the category of Labradoodle then you will need one from the 3rd generation litter. That means both parents and grandparents should also be non-shedding and hypoallergenic. They are quite adorable and amazing dogs and keep you laughing when playing. 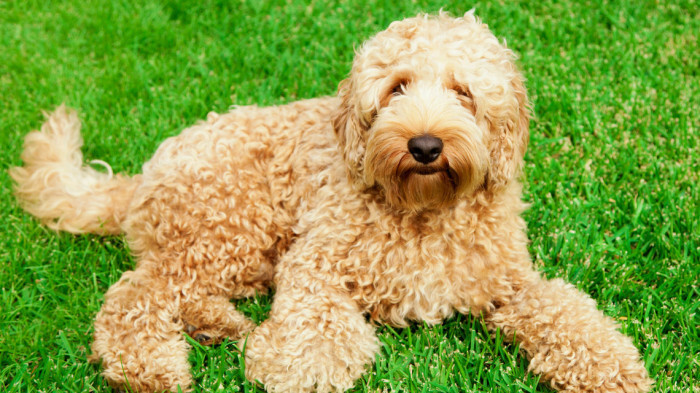 Labradoodle is considered the best dog for novice owners.